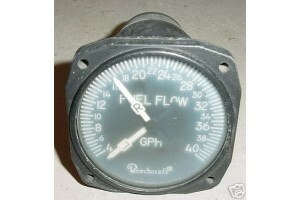 3 1/8" Beechcraft Baron Fuel Flow Indicator. P/N 5709-1006. Beech P/N 102-380004-1. Very clean item. Condition, as removed.